immortalize, after processing I used it for a picture page in my Recipe book. Ogenschijnlijke simpelheid maakt jouw foto's altijd tot een feest! Oh Barbara, I smiled when I read your comment about the button missing .... really like how you took three simple cotton reels and took such an amazing image of them. Love your other images and the story with them too. Beautiful and so Simple Barbra ..Love it! Barbara, These are gorgeous photos of the simple things that surround us. 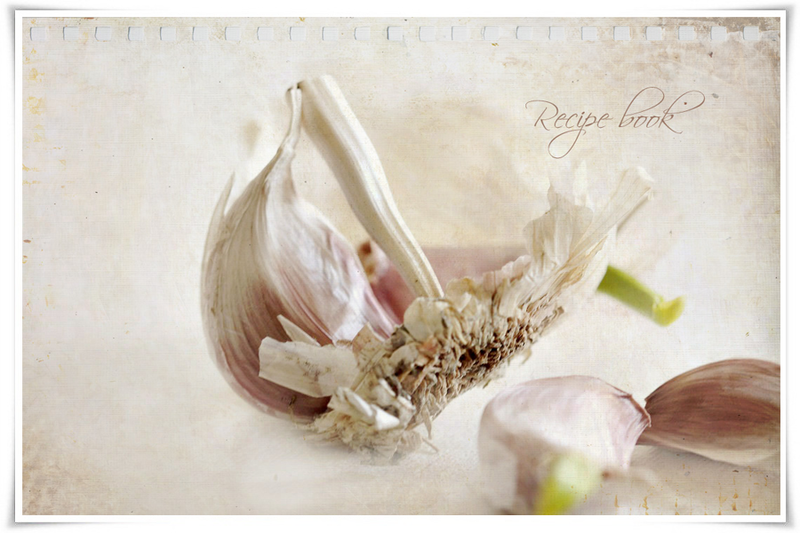 The garlic picture looks just like a page from a cookbook! And the three little spools of thread . . . these simple things that make our lives so complete. Your use of textures adds such a soft touch to this series. So much wonderful "simple" surrounds us. Love the edit on each - especially the garlic. Oh I so love all of these but that garlic is just so stunning super awesome Barbara. Simply beautiful! I love the composition and texture on each of your images. Superb works!! I love each one. The thread image would just be perfect in my sewing room so I may have to attempt (!) a similar version. It is such a treat to stop by your blog Barb!!! all such lovely "simple" images. It makes them so interesting when this is all there is in the photo. Love the trio of spools! and that garlic - love! I love how simple your photos are with no clutter around the subject, all beautiful with nice texturing. Beautiful. You made the ordinary extraordinary. Prachtig,hoe iets eenvoudigs toch geweldig mooi kan zijn. Uiteindelijk was je inspiratie heel dichtbij. En zoals altijd heb je het weer prachtig vastgelegd. Goed gekozen voor het thema 'simple', Barbara ! It's so wonderful when we can find beauty in the simplest things that surround us, isn't it? These shots are so ordinary, yet you've given them new life through your lens. Prachtige foto's van simpele dingen, vooral die geschoten knoflook. Zo leuk om die foto voor je receptenboek te gebruiken. Beautiful images...all of them! Wonderful macro and composition. Visiting from Texture Tuesday. Zo mooi hoe jij alles mix en matcht zodat simpel weer heel bijzonder wordt, prachtig. So love the garlic! Are you shooting with a Lensbaby? There's nothing quite like simple pure garlic. I love the taste of it, and it has many health benefits. Gorgeous images! 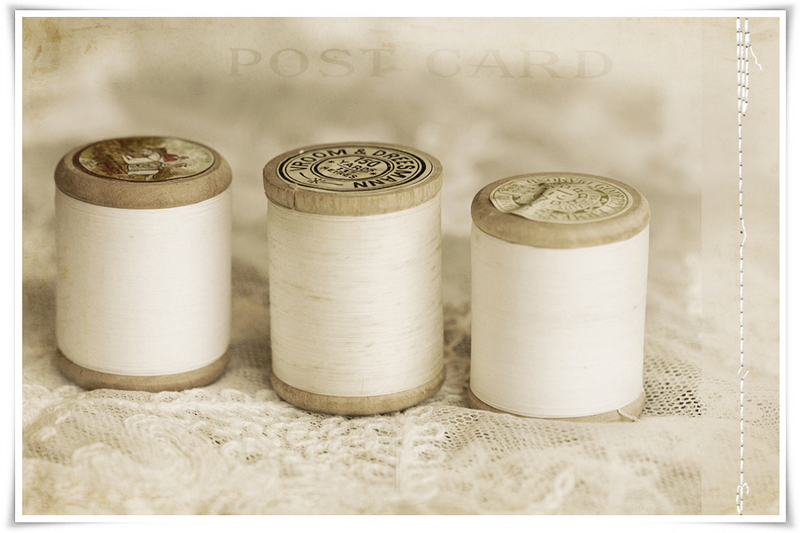 I love, love, love the spools of thread image, wow! Zo eenvoudig maar zo mooi! Prachtig zoals jij overal schoonheid in ziet en het met je foto's weet over te brengen! Ik geniet iedere keer weer. All are beautiful. I especially like the photo of the spools of thread. The stitching on the side is great. well how about that! something so humble and ordinary and you've completely transformed it. beautifully shot and processed! I love your simple photos! Especially that first one. Who would imagine such a "simple" subject would lead to such an appealing image! Zo simpel zo mooi. Hoe doe je dat toch telkens weer. Hoe bijzonder kan simpel zijn: prachtig! How lovely...these images give me a feeling of peace and comfort...thank you for the inspiration! Lovely captures of everyday items in your home. The processing is brilliant!! These are all so beautiful. I love the simplicity theme! My favorite would be the spools of thread...I love fibers! I like your simple things a lot! splendid. I especially like the first image. These are all beautiful but I really really love the first one. The lace, the thread, the stitching - just perfect! Just found your blog on Red Rose Alley. Your photos are lovely! The sprouting garlic is a familiar sight for me! I'm in awe with you photo-art, Barbara! The tiny stiches in white in the first photo - are they a layer or real stiches ... That would make a wonderful canvas - along with the garlics as well! Oh...to be able to photograph like and edit like you my dear Barbara! How I wish you lived right next door and could share your magic with me. So pretty. 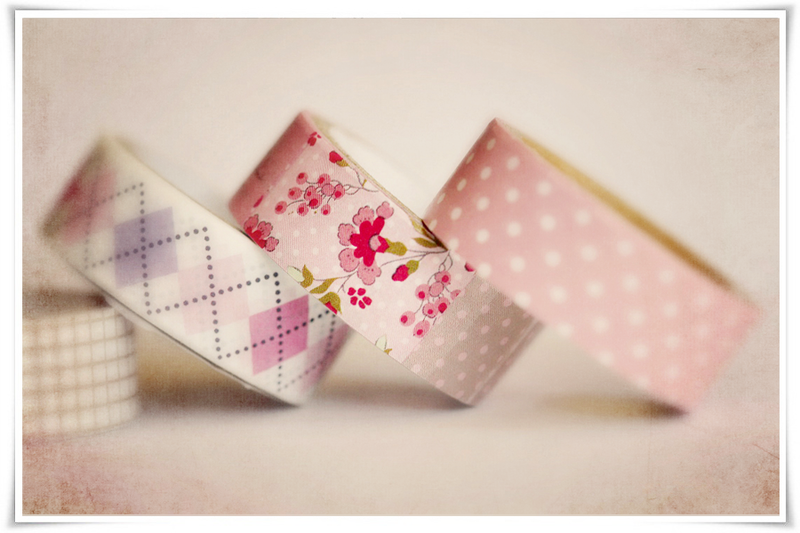 Love all of these, especially that washi tape. Beautifully photographed and I love the textures you've used. All beautiful images - the first one is my favourite!